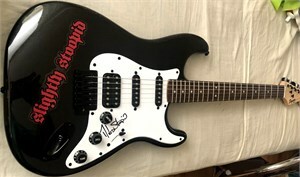 Fender Squier Bullet full size sunburst electric guitar autographed in blue marker on the pick guard (on the plastic film) by Slightly Stoopid co-founder Miles Doughty, who plays guitar and bass. 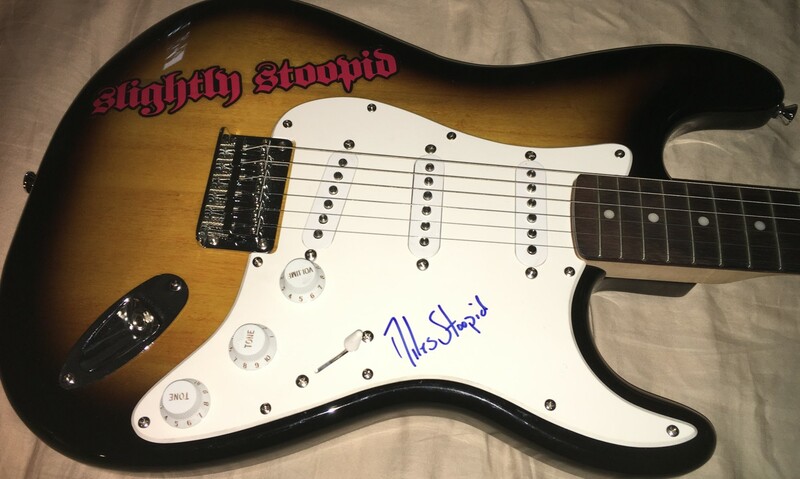 This guitar is decorated with a Slightly Stoopid decal. Obtained in person at a celebrity golf tournament. With certificate of authenticity from AutographsForSale.com. ONLY ONE AVAILABLE FOR SALE.